Regular Training Continues (Calf healed in 2 weeks! )- 13.4 miles Completed Today! Since I recovered we went out today and ran 13.4 miles. The weather was just perfect as it was overcast with a light wind! My heart rate monitor NEVER went off the entire time (Typically it is vibrating or alerting me that I have am over my Zone 5 heart rate) during the 13.4 miles. This is one of the data points I will share as I continue to run and gather more information from my heart rate monitor over the next month or so. I truly believe that everything I am experiencing is a result of incorporating Juice Plus into my daily routine. Typically it takes 4 months for a person to notice the benefits of Juice Plus but with athletes or people who exercise regularly they typically notice the benefits earlier as they are very in tune with their bodies, etc. There is also much research out their around the benefits of Juice Plus and exercise and it is also backed by solid primary, clinical and independent research done at leading University Centers and published in over 32 journals. Today on Fox’s House Call they referenced the importance of eating your 8 fruits and vegetables today for your Heart (February is Heart Health Month). We all hear this pretty much every day, this is not new news! I don’t know about you but there is no way that I can truly eat this many fruits/vegetables in one day and even if I could it would be difficult to figure out the right combination. Therefore, I had to find another solution which led me to Juice Plus! 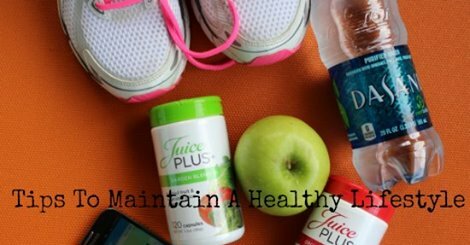 We have already decided together that we are also going to double up on Juice Plus at least one week prior to the Napa Valley Marathon to insure our bodies are ready to tackle the 26.2 Miles! We have one more week of “true” training left and will be working hard to insure that we are ready…it is going to be a tough one for the two of us but at the end we will cross the finish line Two-Gether! This entry was posted in KETO RECIPES and tagged Juice Plus, KETO RECIPES, Napa Valley Marathon by TwogetherRunners. Bookmark the permalink.